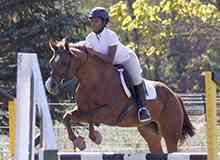 Hannaberry Farm offers a hands-on equestrian summer day camp for riders ages 6-15. 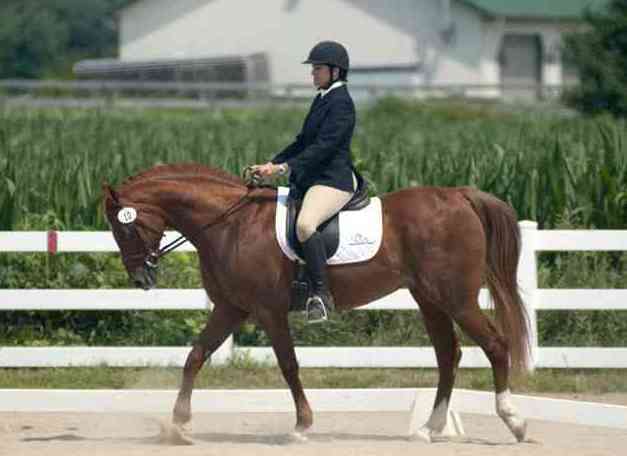 Hannaberry Farm offers year round equestrian programs for all ages. 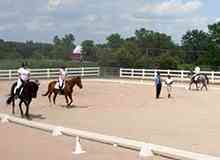 All our lessons will be held in our spacious indoor arena through March 31. Under the direction of Denise Hanna, a CHA (Certified Horsemanship Association) master trainer in English riding, qualified teachers will inspire the beginner, intermediate or advanced rider. With a large outdoor dressage arena, stadium jumping field, indoor arena, and cross country field, students are offered a variety of equestrian challenges at all levels. All our lessons are designed to build the skills and confidence of our riders. If you like a quiet, private barn; if you haven't ridden in a while; or if you want to get over a bad experience with riding, this is the perfect place for you. You can build your confidence while you build your seat! It is also a great place for young riders. Lessons are run under Certified Horsemanship Association guidelines with an emphasis on safety and skill. 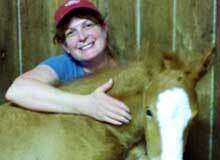 Owner Denise Berry-Hanna is a Certified Master CHA Instructor in English Riding. Certification classes and clinics in CHA Levels 1 - 4 are available. Click here for rates and more information. There are two barns and a full sized outdoor arena with sand and limestone footing. Our indoor arena is now open to keep lessons going year 'round. Lessons are offered for all ages and abilities. Training and limited boarding are also available. Hannaberry Farm is located on Klemme Road 3.4 miles South of Exchange Road in Crete, Illinois. It's road construction season! Click for a map and NEW detailed directions. Call 773-875-1118 for more information. Whatever your goals are, for you and your horse, Hannaberry Farm can help you achieve them. © 2016 Denise Hanna. Site designed and maintained by Joe Hoy.